We are one of the leading manufacturer of Hot Air Oven. 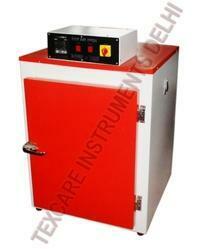 We manufacture Hot Air Oven for Laboratory, Industry, Institutions, Govt. Organisations, Hospitals, Research Labs and many other uses. 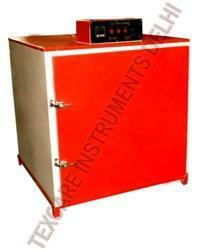 We are Hot Air Oven manufacturer of different sizes and temperature range. We also customized Hot Air Oven as per customer requirement. 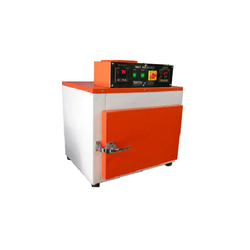 Digital Hot Air Oven is used to maintain temperature in a chamber very accurately. This Digital Hot Air Oven has microprocessor based PID Temperature Controller to insure temperature control processional. This Digital Hot Air Oven has Stainless Steel chamber and outside body MS power coated for corrosion free long life. We are one of the leading manufacturer of Industrial Hot Air Oven for continuous run at different temperature range and time. These Industrial Hot Air Ovens are designed for continuous operation for long time. Digital Microprocessor Based Temperature Controller help to maintain even temperature during process. Inside body made of Stainless Steel and outside body MS powder coated. Inside racks designed and customised as per customer requirement. In Industrial Hot Air Oven one heavy duty air circulating fan is used to maintain even temperature all the time. Backed by rich industry experience, we are engaged in manufacturing and providing our clients a wide array of Hot Air Oven which is largely demanded in all the Industries. Clients can get these highly efficient Air Oven from us at affordable prices.